Creating a sanctuary for local birds and butterflies? 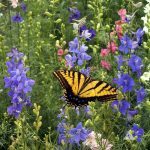 Beautiful bird and butterfly wildflower seed mix is a colorful, easy to establish mix that will feed birds and butterflies with wildflower nectar and seeds for birds later in the season. Gardens in full sun, average well-drained soil. 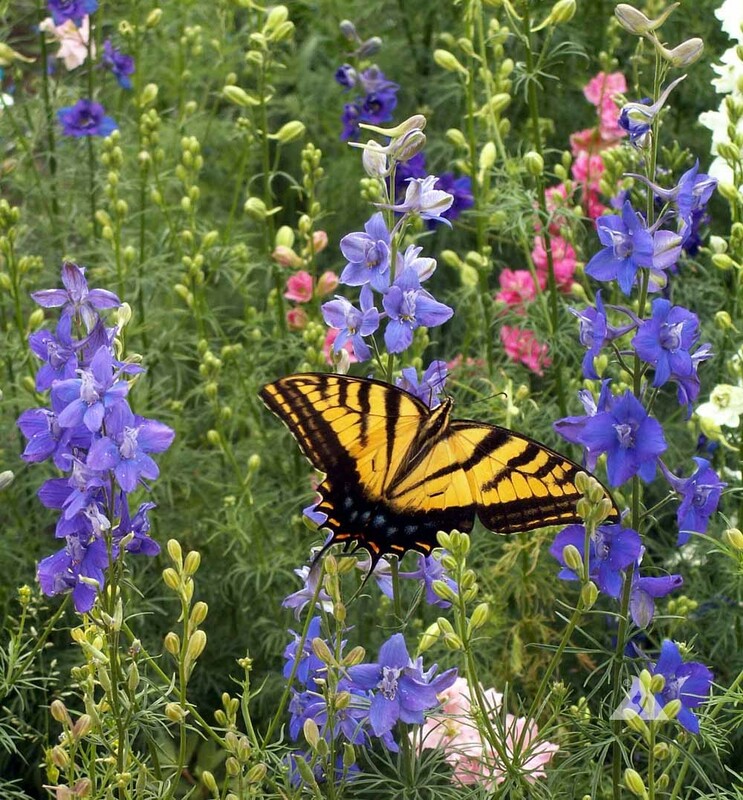 The Bird and Butterfly Mixture contains annuals and perennials for creating a permanent, backyard habitat to attract your favorite birds, butterflies, moths and hummingbirds. Black-Eyed Susan, Blanketflower, Butterfly Milkweed, California Poppy, Candytuft, China Aster, Dwarf Cornflower,, Dwarf Godetia, Dwarf Plains Coreopsis, Gayfeather, Indian Blanket, Lance-Leaved Coreopsis, Lemon Mint, Mexican Hat, Perennial Lupine, Purple Coneflower, Rocket Larkspur, Scarlet Sage, Wallflower and Sweet Alyssum. Planting Rate: 10-20 lb, per acre, 1 lb per 2000 sq. ft.
Grows Well In: Midwest, Northeast, Northwest, Southeast, Southwest, Texas/Oklahoma, Western regions and Canada. 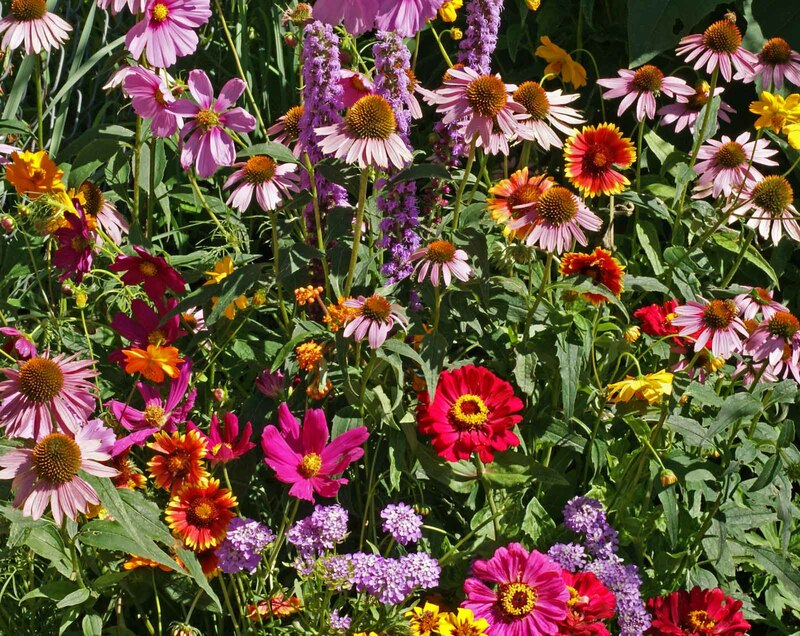 The blooming starts with reseeding annuals and establishes with perennials. Find a sunny (at least 6 hours of direct sun) part of the garden and grow it for the neighborhood birds and bees, caterpillars and hummingbirds. It’ll be the most popular stop in your yard. 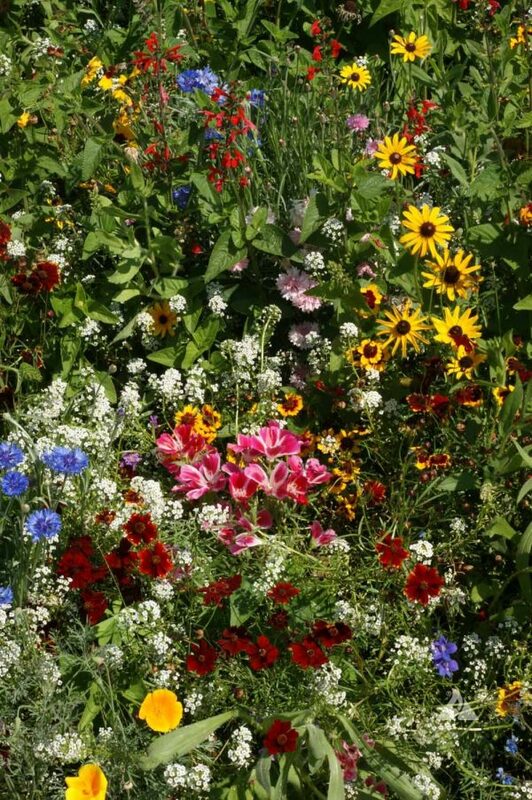 Bee Feed Mix is a feast for your eyes and for all the wonderful bees! It contains both native and non-native flowers to feed short and long tongue bees. 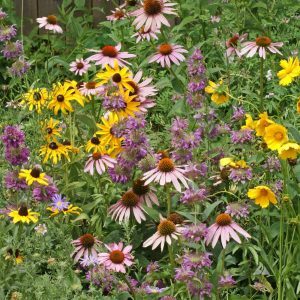 Bumblebee Buffet Seed Mix is a blend of annual and perennial wildflowers that provide nectar and pollen to many species of bumblebees, as well as other pollinators. It contains beautiful early, mid and late blooming wildflower species to provide bumblebee forage all season long. These flowers provide nectar and pollen to honey bees all season long. It is ideal for honey beekeepers and others interested in honey bee health. 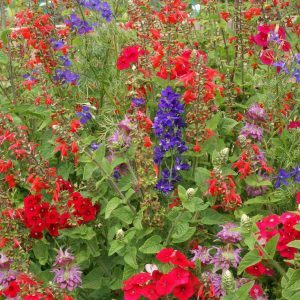 This mix can be used in garden beds, borders, and other maintained areas. Tested by Applewood in their garden, these are the best and most widely established flowers for honey bees. Annual and perennial flower blend that honey bees love. Some natives and other naturalized wildflowers. 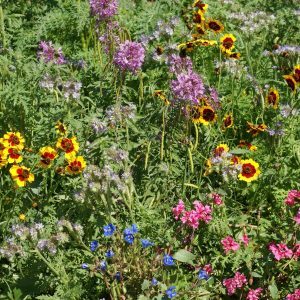 Western Pollinator Seed Mix contains an assortment of western native wildflower species that act as valuable food and habitat for butterflies, birds and bees. 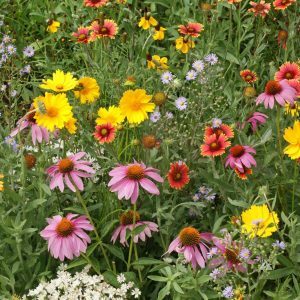 Sow these seeds to produce a field of beautiful blooms anywhere west of North Dakota. 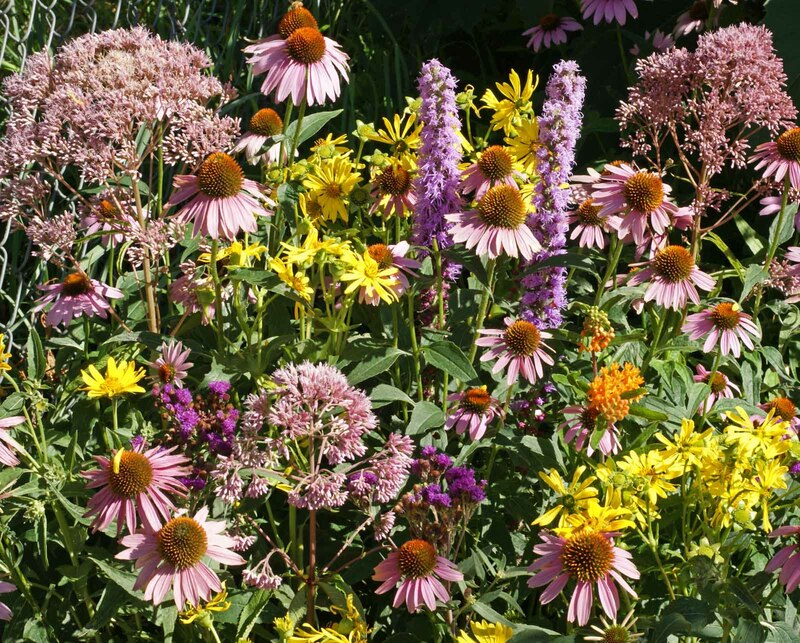 Eastern Pollinator Seed Mix contains an assortment of native wildflower species that act as valuable food and habitat for butterflies, birds and bees. 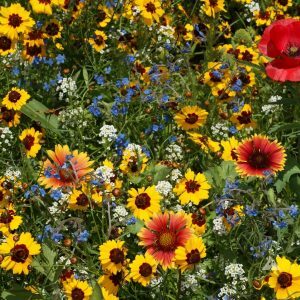 Sow these seeds to produce a field of beautiful blooms that will feed and attract lovely native pollinators from your area! Monarch Butterfly Garden Seed Mix provides nectar for many species of butterflies, including the migrating monarch butterfly, which is spread throughout almost all regions of North America. 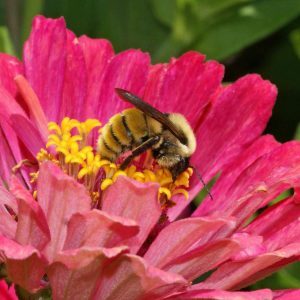 Includes native Butterfly Milkweed and lovely annual favorites like marigolds, zinnias and many others, blooming throughout the growing season. Hummingbird Seed Mix will bring hummingbirds to your yard or golf course roughs and are a joy to watch. Spring through fall, the changing colors and textures found in this mix are irresistible to hungry hummingbirds. Thrives in most US regions.